Rob Foldy/Getty ImagesDwyane Wade, back home with the Miami Heat. 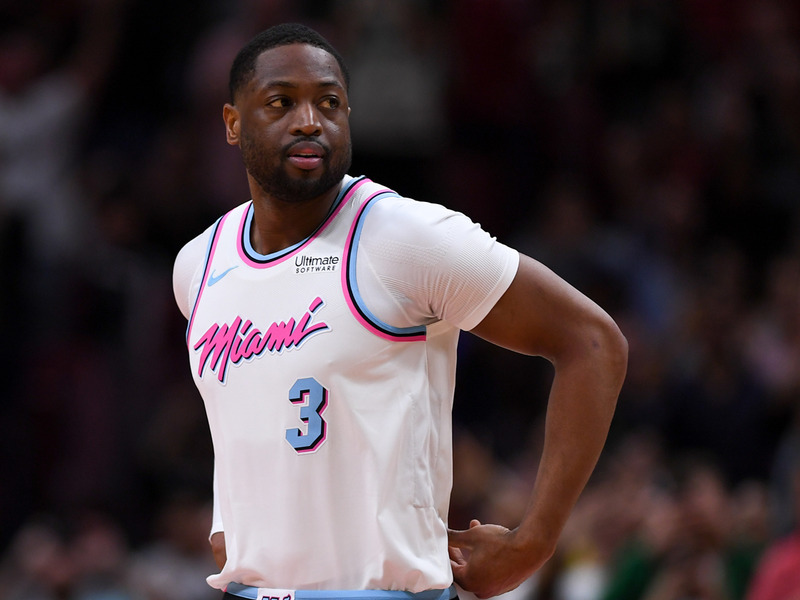 Dwyane Wade visited the students of Marjory Stoneman to tell them he was “inspired” by their response to the recent school shooting. One student posted a video of Wade’s visit on social media, which is a must watch. Wade has recently returned to the Miami Heat, where he had a Hall of Fame career and became a local legend. Miami Heat legend Dwyane Wade received a hero’s welcome as he paid a visit to the students of Marjory Stoneman Douglass High School in the wake of the recent shooting there which claimed the lives of seventeen people. “I just want to come here today . . . I just wanted to come and say I’m inspired by all of you. Wade’s visit was greeted with thunderous applause and shouts of “Wade County” from the Marjory Stoneman students, as you can see in a video taken by one of the students. It’s a fitting reception for a player who won three NBA titles for the city of Miami, the greater area of which encompasses Marjory Stoneman.